We believe in healthy and responsible pet interactions for all residents and want to help create a community that welcomes everyone to a pet-responsible environment. 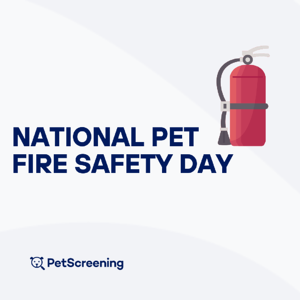 PetScreening is a third-party service utilized by housing providers and property managers to screen household pets, validate reasonable accommodation requests for assistance animals (Service/ESA/Companion) and confirm every resident understands their pet policies. To facilitate the screening and validation process, PetScreening offers residents three profile types to choose from. The Pet Profile provides residents a secure place to store all the important information about their pets. Pet Profiles can easily be shared with pet service providers such as landlords, property managers, veterinarians, animal hospitals, pet sitters and doggie daycares. There is no charge for submitting a reasonable accommodation request for an assistance animal. Each request is reviewed by our legal review team per the FHAct guidelines. It is the residents' responsibility to be aware of their state’s statutes or local ordinances, if any, for criminal offenses and/or penalties for committing assistance animal fraud. With the No Pets or Animals profile, residents without pets and animals can acknowledge a community's pet policies and give their property manager a better understanding of where pets and animals are living within their community. Residents must first visit their housing provider's unique PetScreening link. Then, select their profile type, create an account and complete their profile. Upon activation, profiles are shared automatically with the resident's housing provider. A household pet profile and no pet/animal profile have an instantaneous turn around time. The review time for assistance animal accommodation requests is usually 24-48 business hours. If the review time takes longer, this likely means our team is waiting for validation from the third-party verifier or more information is needed from the animal owner. The cost for household pets is $20 for the first Pet Profile and $15 for each additional Pet Profile. There is no charge ($0) for assistance animal accommodation requests or no pet/animal profiles. All profiles are valid for one year upon activation. Household Pet Profiles can be renewed for an additional year for $10. There is no charge to renew assistance animal profiles or no pet/animal profiles. How do I renew my profile? Profiles expire after one year from activation date. To renew a profile, click the Renew Now button at the top right of the profile. Follow the prompts to update applicable information including contact info, vaccination details, assistance animal documentation and microchip details. Complete the affidavit questionnaire and proceed to payment (household pet profiles only) or submit your profile (assistance animal profiles and no pet/animal profiles). How do you validate accommodation requests? Can I edit my profile after it's submitted? Household pet profiles and no pet/animal profiles can be updated while in Draft or Active status at any time within your PetScreening account by selecting the profile, clicking Edit, and clicking the pencil icon next to the section of the profile that you want to update. Changes cannot be made to an assistance animal profile during the review process unless additional information is requested by our Legal Review Team. Changes can be made once the profile is returned to you. With this, there are no refunds as the product is fully rendered once the Household Pet Profile application is submitted. In the user terms and conditions that you accept when you register, it states that we do not provide refunds once an application is processed. Need something else? Reach us on our website chat or send us an email.